Go for the music, stay for the pinball. One of D.C.'s most beloved venues is ditching part of its small eatery and replacing those hot dogs with pinball machines. 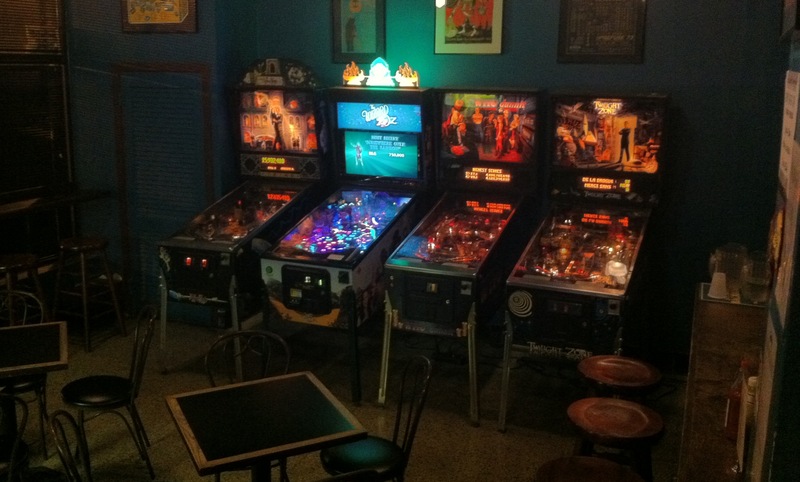 WASHINGTON — Go for the music, stay for the pinball. dining booths with pinball machines. been moved from the Red Room bar. off in the early 2000s before enjoying the current resurgence. But pinball, like pool, is a social game that can be enjoyed with friends. group together for beers, music and pinball, Ferrando says. feature LED lighting, electronic displays and bright, vivid colors. Lyman’s Tavern — Northwest D.C.